Diamond Public Academy, Kanchanpur emerged proud winner of the Nepal edition of Wild Wisdom Quiz 2018. 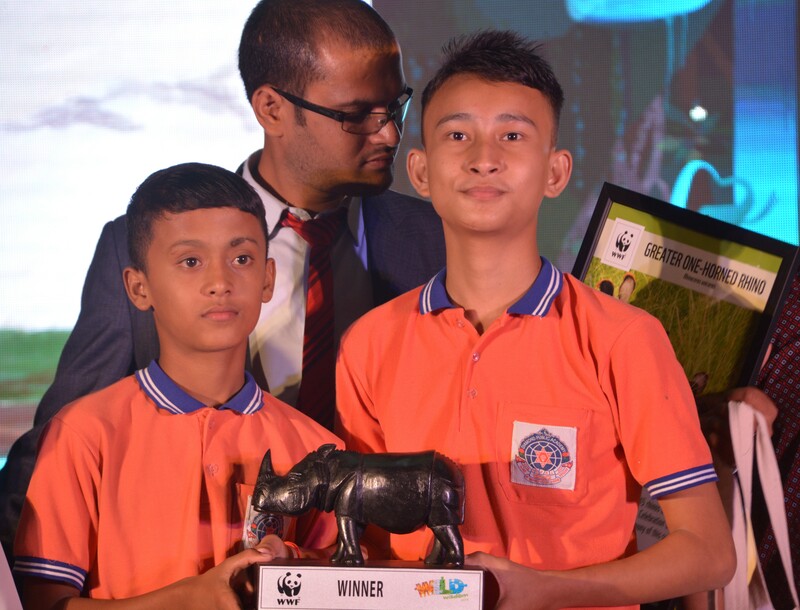 Kathmandu, Nepal – Diamond Public Academy, Kanchanpur emerged proud winner of the Nepal edition of Wild Wisdom Quiz (WWQ) 2018 organized by WWF Nepal’s The Generation Green program. They will go on to represent Nepal in the international finale of Asia’s biggest wildlife quiz that will be held in New Delhi, India on 4 October 2018. A total of 210 schools with 410 students of grades 6 to 8 took part in WWQ from Kathmandu, Chitwan Cluster (Chitwan, Bara and Makwanpur) and Nepalgunj Cluster (Bardia, Banke, Kailali and Kanchanpur) progressing from the preliminary and qualifier rounds to arrive at the final event organized today in Kathmandu. Paradise School, Kathmandu Valley finished in the second position while Babylon National School, Kathmandu Valley secured third place. WWF Nepal kickstarted the second season of WWQ on 29th July 2018, coinciding with the Global Tiger Day. Organized under WWF Nepal’s Education program, WWQ aims to aware and inform young people about biodiversity and natural resources and the necessary steps for its sustainable use. The theme of this year's WWQ was ‘The Price of Our Planet’ and was centered around the significance of our irreplaceable and natural resources; forests and wildlife, oceans and rivers, and plants and animals. 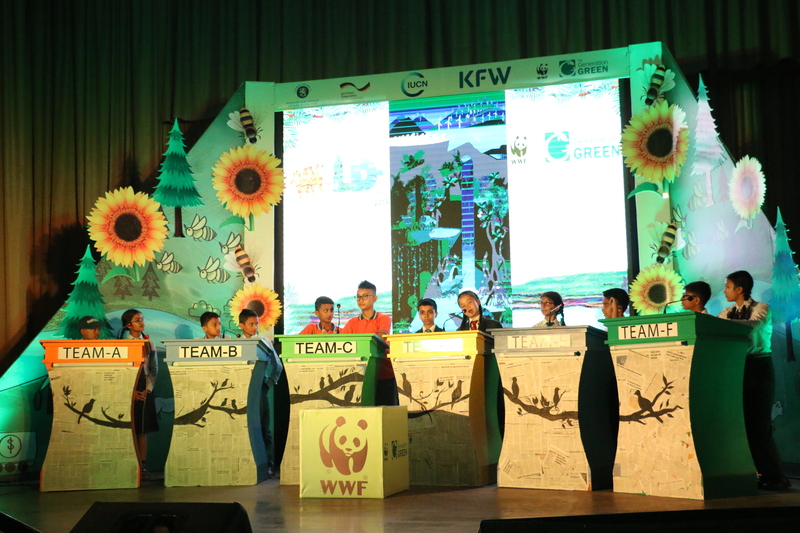 Talking about Wild Wisdom Quiz, Shikha Gurung Khetan, Senior Officer for Campaigns and Education, WWF Nepal said, “Quiz has always been a traditional part of school programs and is an effective way of engaging and informing students on topical knowledge. WWQ was introduced to promote the understanding of biodiversity among students in an integrated and innovative manner, one that makes it interesting for both the students and the audience”. WWF Nepal introduced Wild Wisdom Quiz (WWQ) in 2017 that reached out to 104 schools in Kathmandu Valley. The winning team from Nepal, Malpi School, went on to compete in the grand finale in India, bagging the first runner-up title. Wild Wisdom Quiz was initiated by WWF India in 2008. Now, in its eleventh year, the quiz has grown to become Asia’s biggest quiz on wildlife.